Raumfahrt+Astronomie-Blog von CENAP - Blog: Astronomie - New solar flare simulation reveals dazzling beauty of dangerous eruptions This research is teaching us how the sun evolves, and how it affects our daily lives. A new computer model the entire life cycle of solar flares, in an effort to better understand these intense cosmic events. 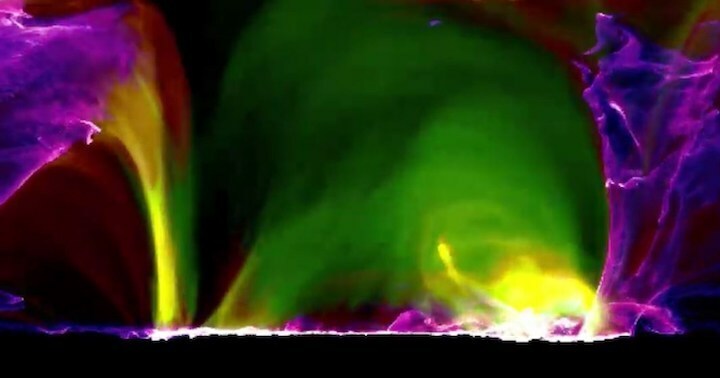 Astronomie - New solar flare simulation reveals dazzling beauty of dangerous eruptions "This research is teaching us how the sun evolves, and how it affects our daily lives."